If you have crossed the river from downtown to the Northside you probably know the name Rachel Carson because you have crossed the Rachel Carson Bridge. The Rachel Carson Bridge is one of the Three Sister’s bridges, the other two bridges are named for Roberto Clemente and Andy Warhol. If you are not familiar with her work, this should give you a clue that Rachel Carson is an important Pittsburgher. Rachel Carson was born in Springdale, just up the Allegheny river from Pittsburgh and her work as a scientist and conservationist continues to have a huge impact around the world today. She is In 1962, Carson published the book “Silent Spring” that launched the environmental movement and eventually led to a ban on DDT. Carson’s book was the catalyst for the environmental movement which led to the creation of the EPA. Birthplace – The Rachel Carson Homestead in Springdale, PA is where Carson was born. The house still exists today and is open for tours, educational events and this weekend will host a birthday celebration in honor of Carson’s 110th birthday. 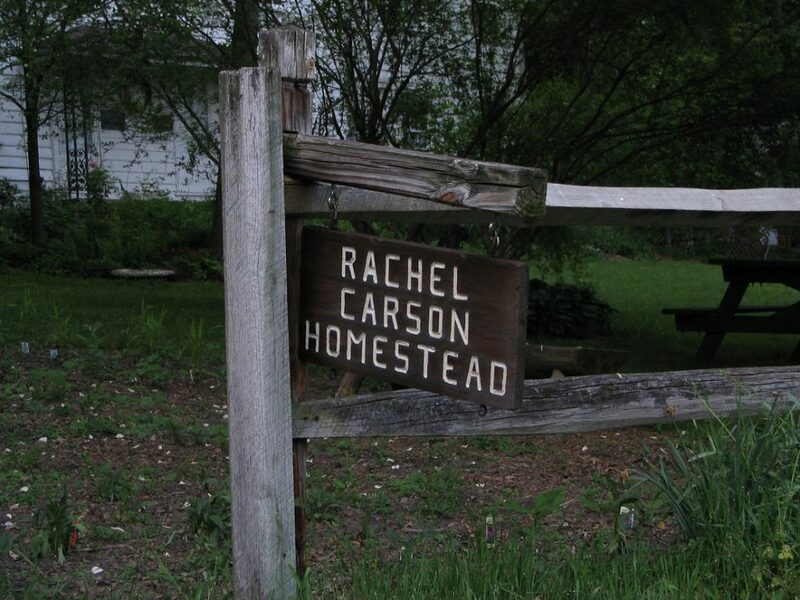 Residence – The other Rachel Carson homestead is in Colesville, Maryland. 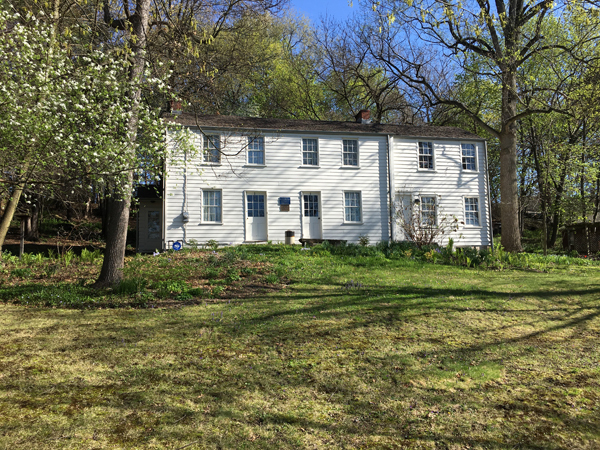 This house in Maryland is where wrote “Silent Spring.” Ryan Morden visited the house in Colesville a few years ago and wrote a post, A Visit to Rachel Carson’s Other House, about this house which was named a National Historic Landmark in 1991. Docent led tours of the Rachel Carson Homestead are available on Saturdays from April 22, 2017 through November 2017. Hours: Homestead is open 10:30am-1:30pm, tours starts on the hour at 11am, noon & 1pm. Cost: A minimum donation of $10 is requested for each adult, $3 for children. Tours are also available by appointment, email Info@RachelCarsonHomestead.org for details. Follow the Rachel Carson Homestead Association on Facebook to learn about upcoming events. 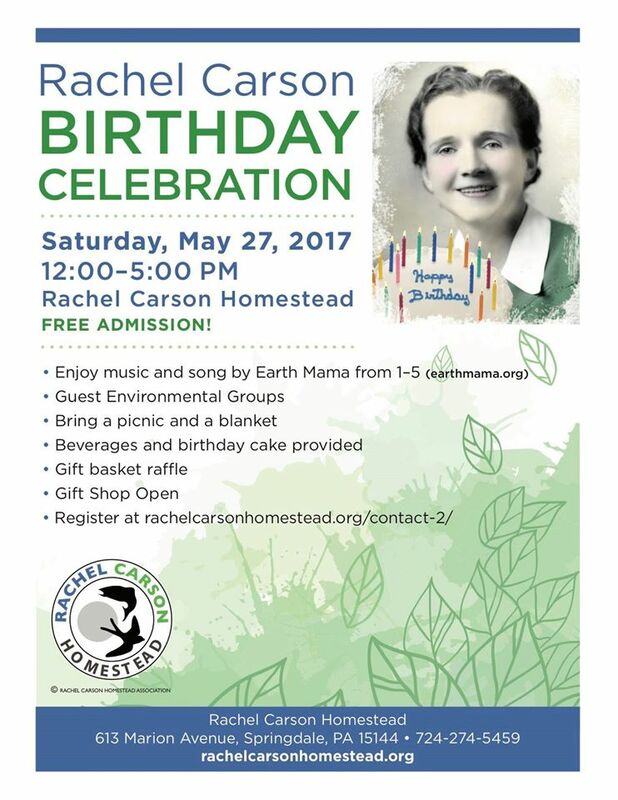 This Saturday, the Rachel Carson Homestead will host a birthday celebration. More information on the birthday celebration and the involvement of Pittsburgh History & Landmarks Foundation is available here.